We need to integrate result links into our society. Henceforth, gentlepeople. Typically a fast course, no? @zen, What was donkey about that race? Correct me if I am wrong, @Kraig21 verified this course was 200 meters short. It is also a pancake. 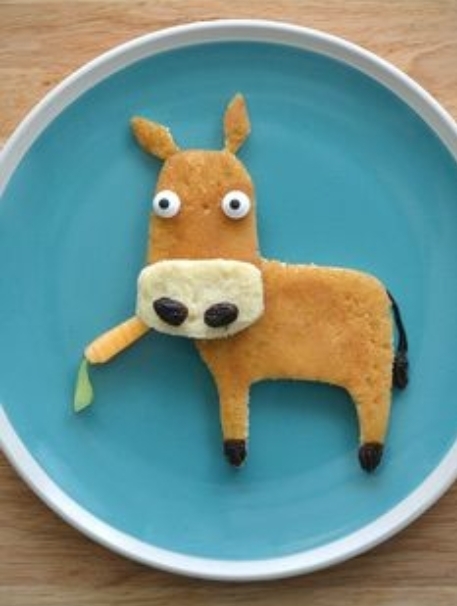 Therefore, donkey measurement + pancake course = donkey pancake. No offense to the runners. It is cross country and arbitrary. But the only thing we can take from this contest are the team scores and margins of victory (in the times). @zen, to be honest I don’t know that fact for sure but it wouldn’t surprise me. What I mean by that is that I never measured the course, but every time we were there we would see New Glarus/Monticello wheeling the course. I never asked them directly but my teammates told me that they heard NGM saying the course was 200m short. I have a friend from NG and I can probably ask him about it tomorrow to see if he knows anything. As far as the course being a pancake… I wouldn’t say it’s a pancake (assuming you mean it is flat). Have you been there before? I thought the course was a 4/10 course cimparted to what I ran in HS. All things considered, I’d be very surprised if it wasn’t 200m short. Same turf I used to race on almost 40 years ago (1976-79) on the WITI Barron Cty campus, but I don’t know if it’s the same course layout. Relatively flat but uneven terrain at that time in invariably warm conditions, but it could produce some decent times. Results from Bob Burzynski. Can’t speak to the course length or difficulty but Valders looks to be well ahead of where they were as a team last year at this same meet. I may have missed this before, but is Noah Bodewes no longer at Lakeland? An obviously big blow if that is the case. Meet results and team scores. This course is almost as untrustworthy as the Mishicot course. I dont buy it at all. Valders is still a good team. Is this the same course that Deerfield uses and is way off with guys setting school records on it in the 15’s and then running 17 at state?? Not the same course but the meet management is of that same bottom dwelling breed. @runninsaber Why is Franklin held at Grant Park now? I would’ve loved to run at Grant Park instead of that course behind the school. Most of the campus course was destroyed when Franklin was expanding. They added some more classrooms, a theater, more parking lots, etc. There simply isn’t enough trail left to run the meet there. Yep, definitely disappointing. It was a very honest course and difficult to run a fast time on it. Also, it felt like July again out there today. I heard it is supposed to be similar in SE Wisconsin tomorrow. We started the day off at 59 degrees. I talked to the NGM guy and he told me that the kids who were injured would wheel the course and measurements would be all over the place. He recalled one time it was measured at 4800m and another time it was right on. Not sure how much weight we can put on this. Were they measuring it with an effort or were they just goofing off? For me, I’m sticking by my belief that it is 200m short until I hear differently. 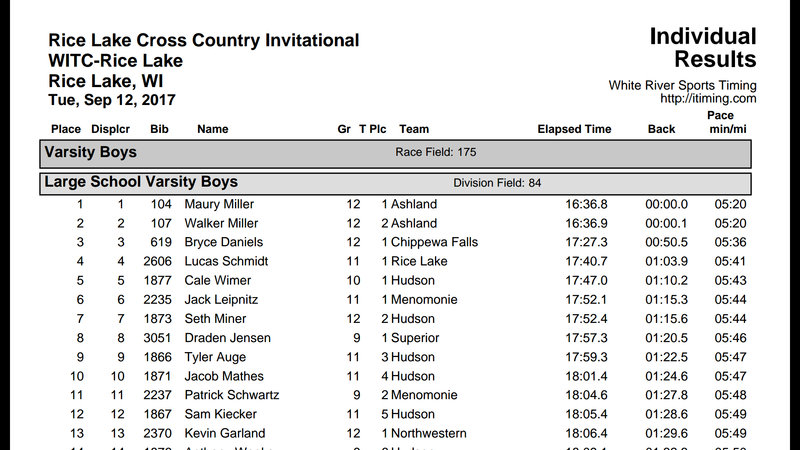 Smiley: charlie McKinney (west Salem) throwing down a 16:20 at smiley as a freshman, finishing 2nd in division 2. Another freshman running 16:40s I think from tomahawk. If rosholt can improve their number 5 runner they have a fine first 4 for a small school with a solid 1 runner. They scored only 30 points to win division 3 and will likely have 1 under 16 and 3 under 17 by state. Actually they had a freshman win the jv race in 17:50 so he could end up being the 5th if he improves. Nice team. I thought smiley was a challenging course I expect Bosley to embarrass my pedestrian times I ran on this course.